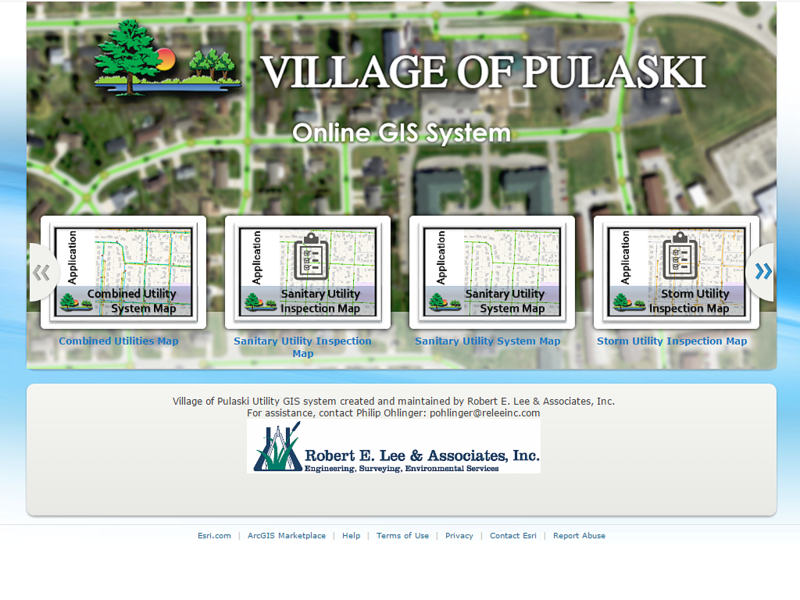 Village of Hilbert Utility GIS - Robert E. Lee & Associates, Inc. 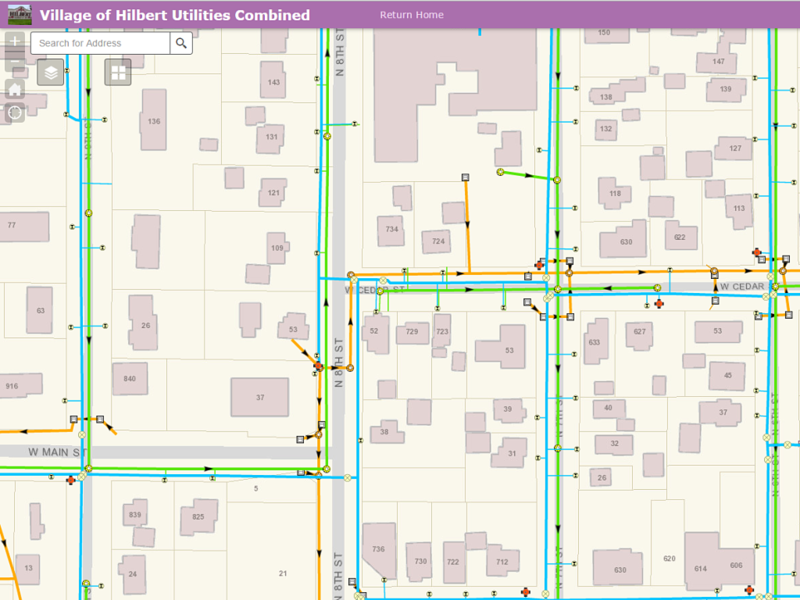 The Village of Hilbert contracted with Robert E. Lee & Associates to create a GIS database and online maps for water, sanitary sewer, and storm utility features in the village. 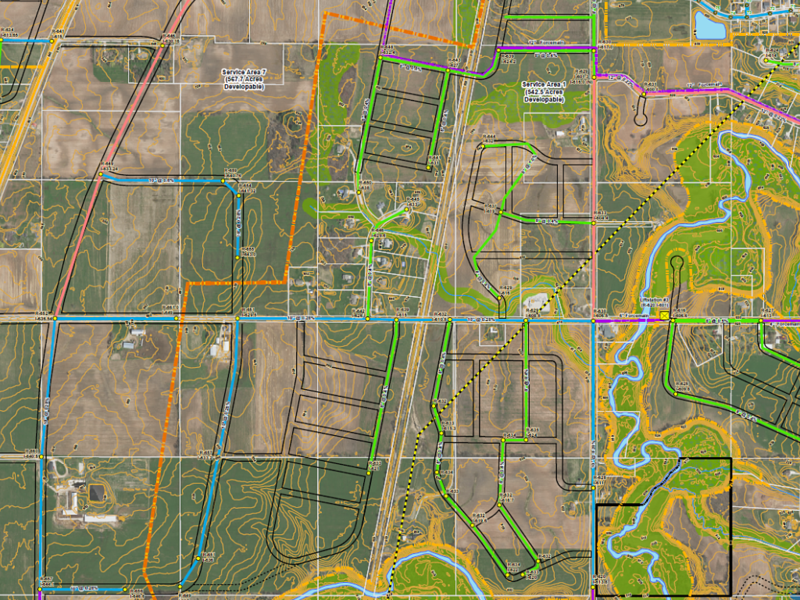 Features from CAD systems maps were transferred to a GIS database and combined with GPS location data to accurately place point features on the map. 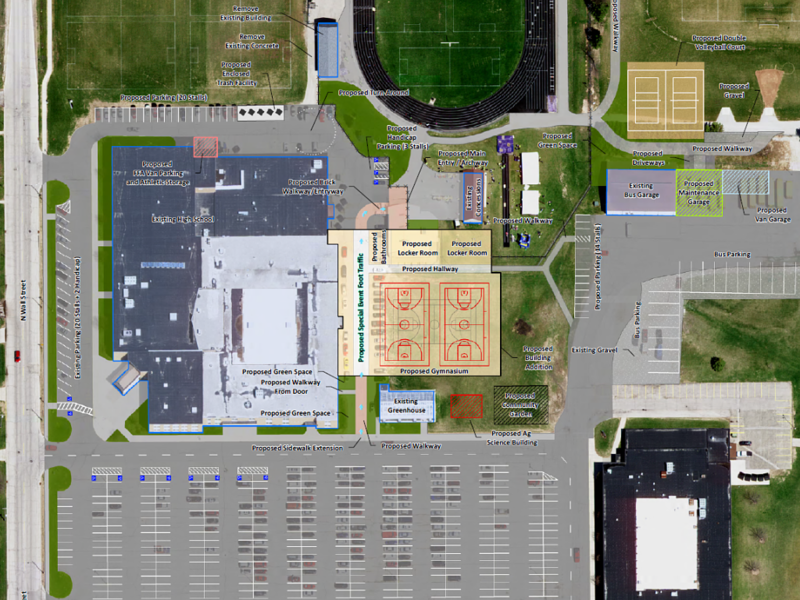 Digital and paper as-built sheets were inventoried, georeferenced, and integrated into the GIS system. 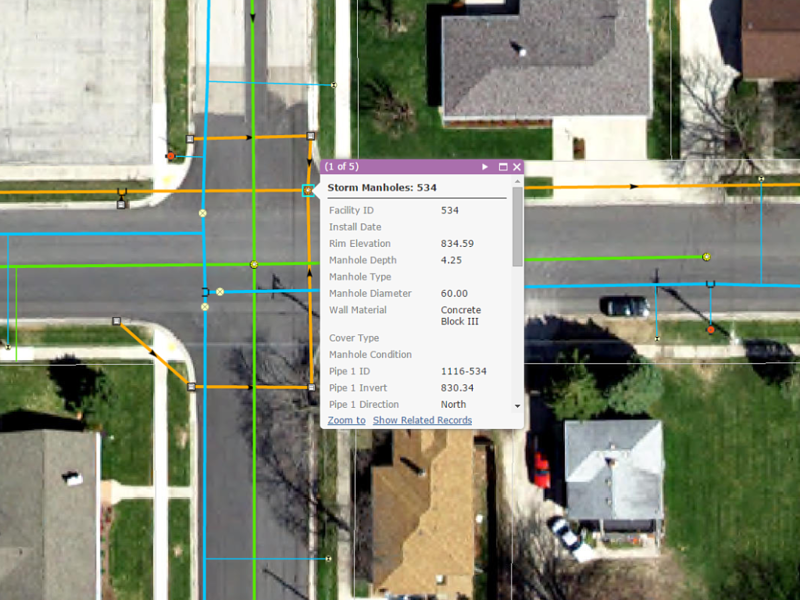 Connecting pipes and associated attributes of features were pulled from these as-builts, as well as feature as-built books, and tied into the GIS system. 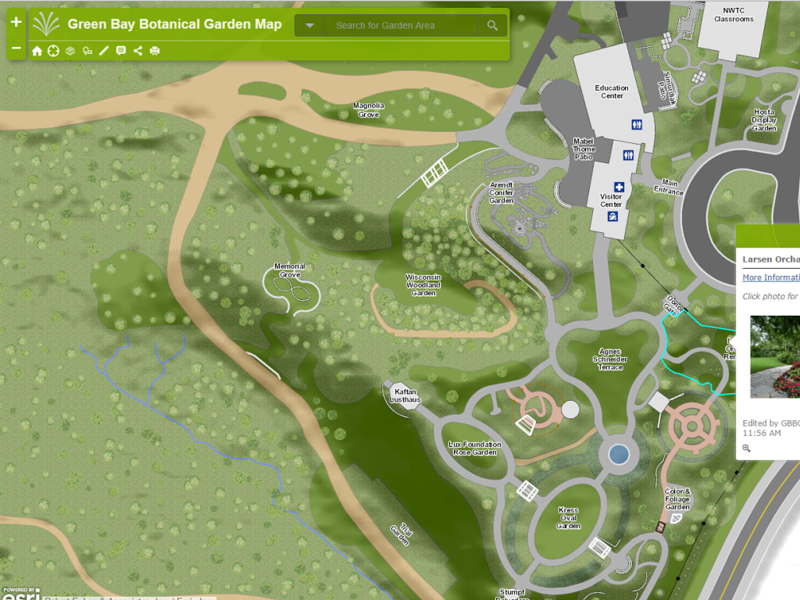 Interactive web maps were configured to view utility data from any device, and the as-built inventory was integrated with the system so all sheets could be viewed as PDFs. Editing features were added to the system so the Village of Hilbert can add notes to utility features.